Red, yellow, and blue are primary colors. They are the three pigment colors that cannot be made by mixing any other colors. These three colors are mixed to create all other colors and can be combined with white or black to create tints (lighter tones) and shades (darker hues) of these colors. Most of the primary colors are warm but blue is responsible for the majority of the cool colors. The color wheel, a part of color theory, is divided into warm and cool colors. On the cool side of the wheel are shades of green, blue and violet, moving from bright green to blue-green, through ocean blue and cobalt, and on to purple and violet. The colors of red, orange and yellow are considered warm colors because they are the colors of fire. These hues are also said to advance, meaning they appear to come forward, making the walls feel closer. But these colors are most often used for upholstery and accents, and they can make a room feel cozy. Primary colors are the foundations of all other colors (black and white help with tone and value). But they are less common in interior design than their derivatives. You see lots of light yellow and different shades of blue; a ton of green. But you don't see as much of the true shades. This might be because primary colors in their true forms are often associated with childhood and a floor covered in toys. But there is no reason they have to be babyish. But primary colors are the colors of modern art, comic books, and pop art. Primary colors have a major impact, especially when they are used together. They are clear, straightforward and bold. You often see them combined with geometric shapes in modern design. But they are most often used in small doses—a painting here, a chair there—or in more muted derivations, such as light blue, turquoise, pinks, and burgundies. In modern design, primaries go well with bright white and gray tones. But in other styles, they can go a little wilder. You see them sometimes in richly patterned rugs. 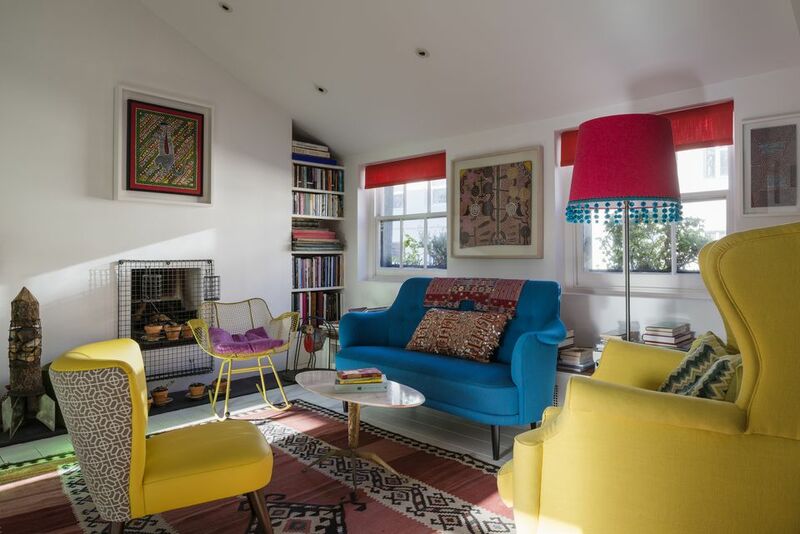 Use only one or two bright hues at a time. When using red, yellow and blue together, keep one or two colors in the pure hues and mute down the third by choosing a color that either has a bit more black or white or leans slightly to the right or left of the color wheel. Create rest for the eye by using alternative colors and textures in the space. When working with a primary scheme, feel free to add in additional colors and textures—try rich woods in the furniture, and pops of color in the flowers. This will provide an outlet for the eye so it doesn’t seem strict.